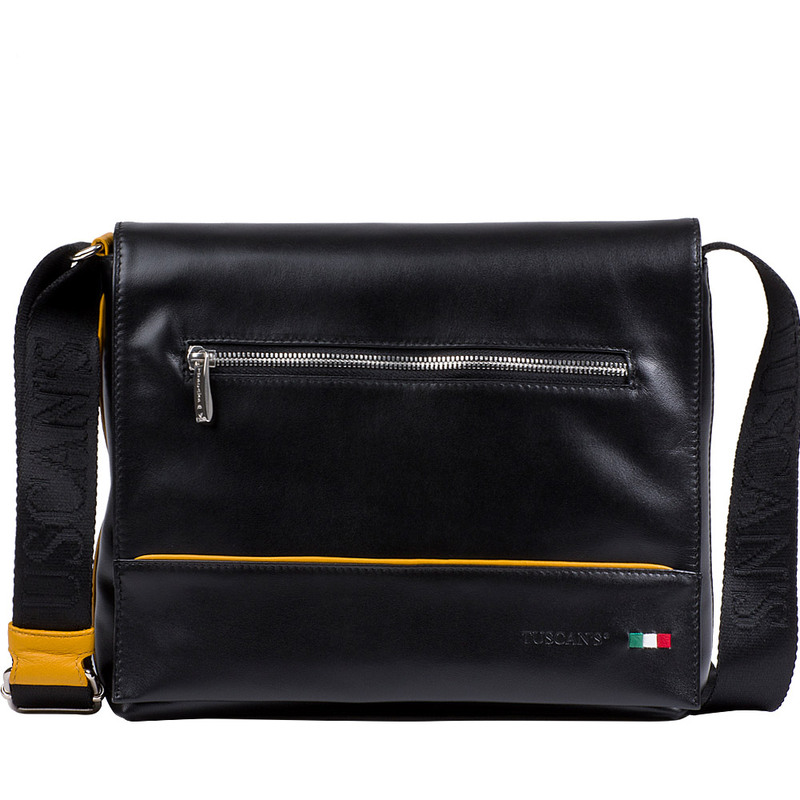 Piano is a full grain black leather Messenger with an essential design, the front being highlighted by a yellow contrasting horizontal line. 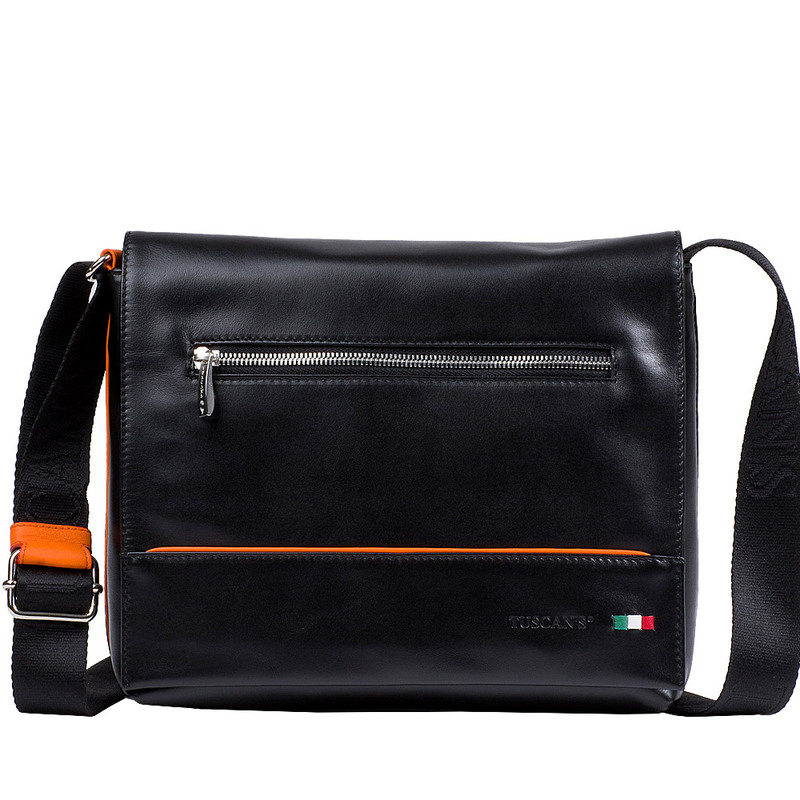 Has a comfortable and adjustable woven fabric strap, this messenger is a practical and youthful bag that has been designed to carry your tablet, notebooks and notepads. The front zipped pocket is the ideal place to store your cellphone, keys or other small belongings. 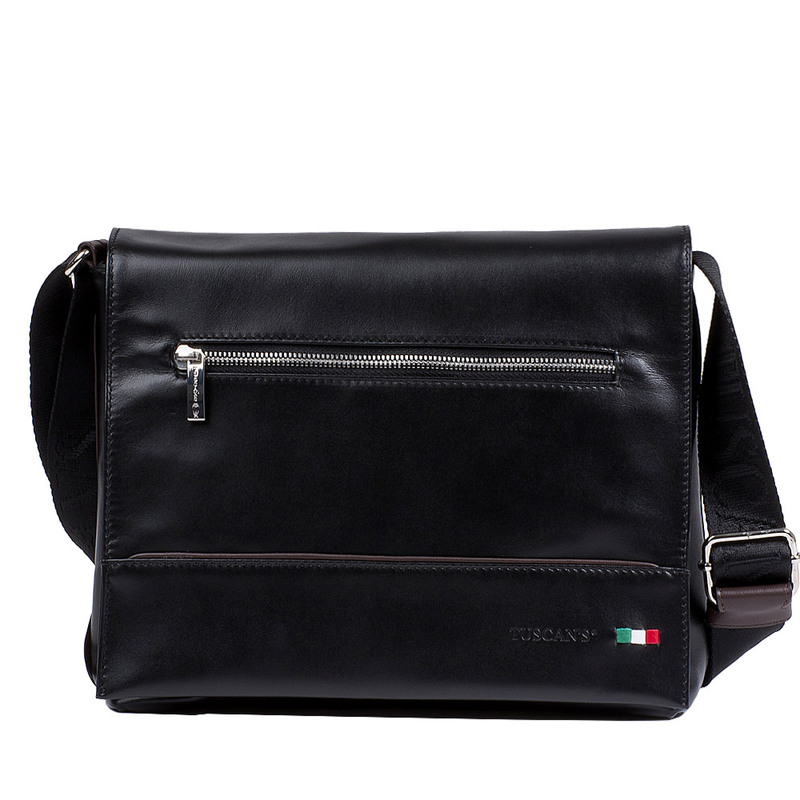 The interior consists in a unique compartment with a penholder and a zipped pocket. 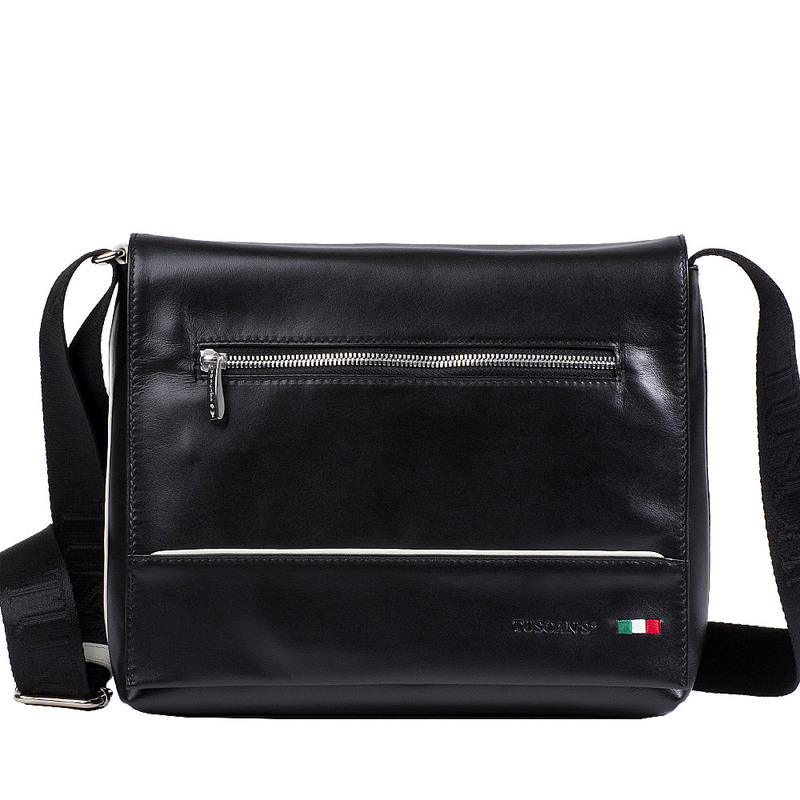 Tuscan’s bags are designed with a earphone cable hole generally placed on the rear pocket, allowing you to thread your headphones through for ease of listening on the go.